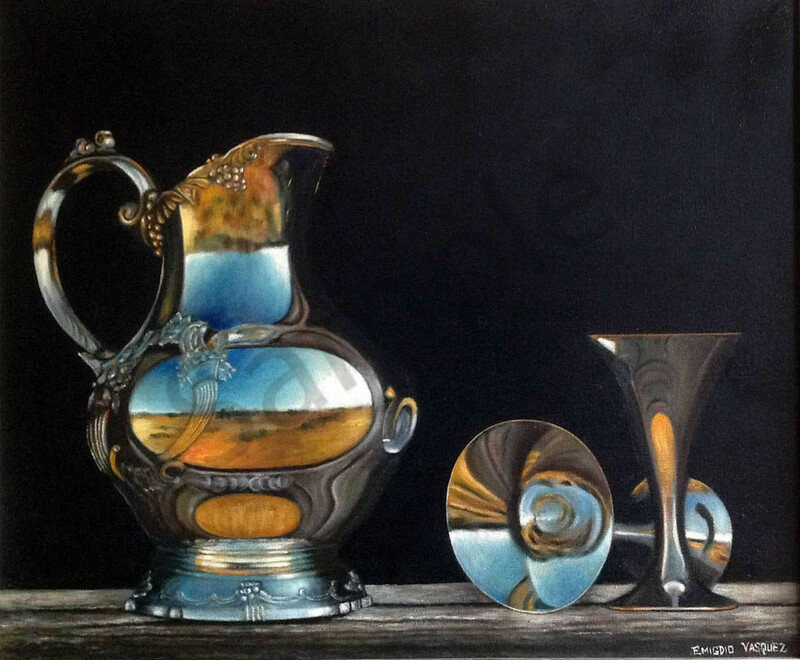 This elegant Still life is of a silver pitcher and chalice cups with a reflection of a desert scene. Silver Set is a Dutch Master style still life with a reflection of a southwestern landscape. Emigdio blended Old World and an Arizona desert scene.